There are many reasons why I went to the great San Diego Comic Con this year. One is to sell the new “Hair High” and “Guns on the Clackamus” DVDs. Second is to promote the new Rizzoli's coffee table book “Independently Animated, Bill Plympton” that will come out next year. Third is to promote the documentary about myself called “Adventures in Plymptoons” by Alexia Anastasio. Fourth is to help get publicity for the theatrical release (finally!) of my feature film, Idiots & Angels, which I just learned is coming out in L.A. at the Laemmle Cinema on October 29th. Because San Diego ComicCon is so important, there's a gush of press people there, so each year we use the event to promote our new projects. All my old friends are usually there-- Peter Kuper, Spike of Spike and Mike, Lloyd Kaufman, Mike Richardson, David Silverman, Harry Knowles, Peter DeSeve Peter Chung (who's doing a new show called “Fire Breathers”, in 3D no less) Larry Hama (of G.I. Joe Fame) and of course the great Ralph Bakshi. One of the highlights was a gallery show at the great Chuck Jones Gallery just one block away from the convention center. It was on a Friday night and it followed the Stan Lee show the night before. We had a great crowd, sold lots of art and had a lot of fans. 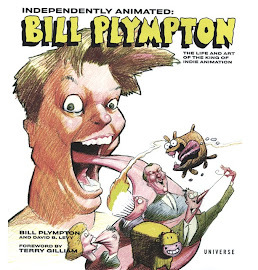 And everyone who bought a piece of art got a free caricature of themselves by Bill Plympton! Check out the full collection of gallery photos here! I've just started to Twitter, so check me out on the Twittersphere. I'll continue San Diego on my next blog, see ya then! it's nice to see that photo of yours with the great old Bakshi. Wish I could have been there this year...maybe next - sounds like everyone was there! Glad to hear Peter Chung is working on a project, too, I was just wondering a couple months ago what he was up to but it's been hard to find any information on his whereabouts. 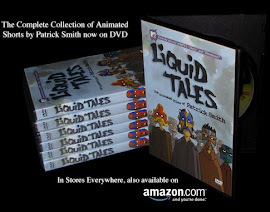 Animators Unearthed by Chris Robinson..
Summer Events, Salem, Comic Con and More!